Montreal-based artists Melika Dez and Pauline Loctin met in January 2018 and decide to combine their imaginations in a creative collaboration. 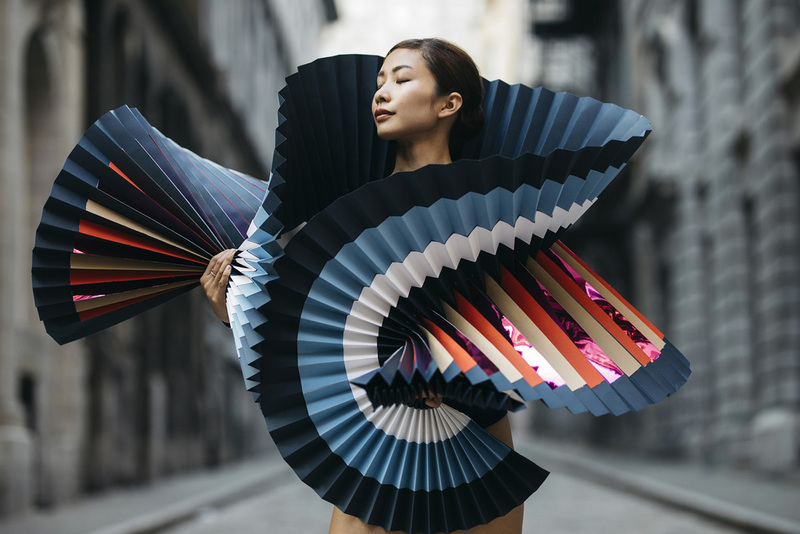 The result, PLI.Ē Project, fuses Dez’s skills as a movement photographer with Loctin’s expertise in paper art, and showcases dancers around the world wearing hand-folded paper costumes. 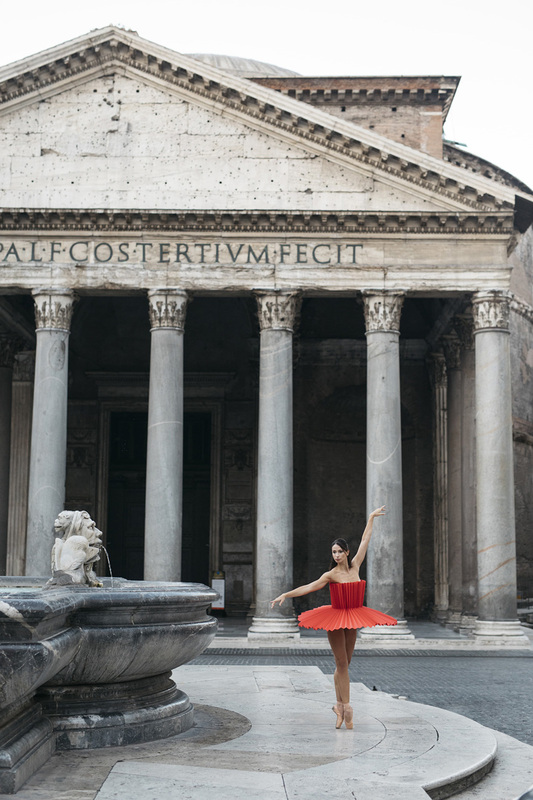 Loctin specifically formed each dress’s shape and color palette to the dancer who would be modeling it, and Dez worked to situate her models in iconic settings from the streets of New York City to the Louvre Museum in Paris. Loctin’s paper creations range from resembling traditional ballet tutus to intricately folded experimental shapes. 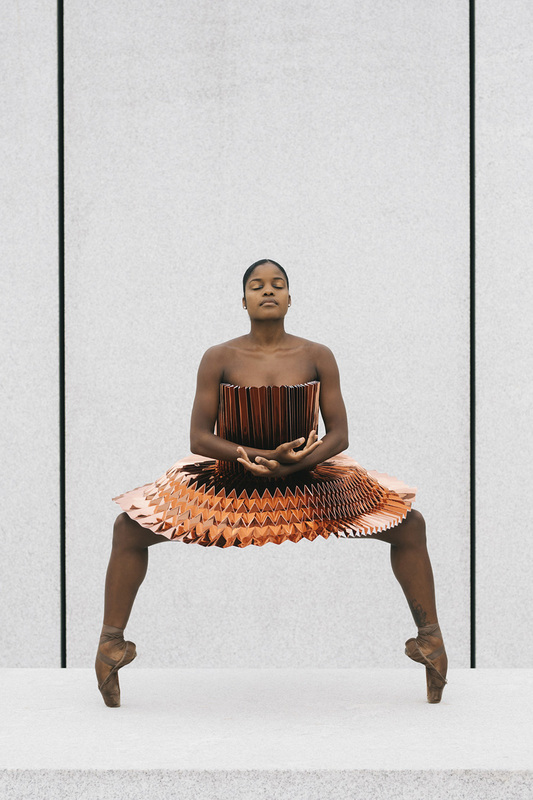 Dez shares that the project came together in two phases: first as a studio shoot with professional ballet dancers wearing Loctin’s creations, and later as a worldwide endeavor photographing dancers and costumes outside. 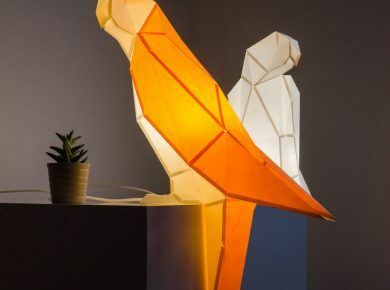 “Paper can be a fragile material to work with and that is exactly why we decided to make the impossible, possible. No matter which element we would be confronted to, water (rain), wind, we wanted to show that we are limitless.” The PLI.Ē Project photographs are on view in Montreal through November 4, 2018, and the duo hopes to shoot a second series of the work and eventually publish a photo book.